The food we consume contains molecules that build our bodies and support healthy cellular processes. Eating a variety of fresh fruits, vegetables, whole grains, proteins, and healthy fats can provide the necessary macronutrients and micronutrients needed for healthy living. Macronutrients are nutrients that our bodies use in large amounts to create energy and fuel activities. These consist of protein, carbohydrates, and fat, and we need plenty of each to maintain energy and function properly. While macronutrients are important for everyone, they play a key role for those who participate in physical activity or have body composition goals like building lean muscle and losing body fat. The quality of macronutrients consumed is an important factor in building a healthy body composition. For example, ice cream is high in carbohydrates and fat—but it has very little nutritional value. Burgers and sausage contain protein and fat but are generally highly processed and contain far too much saturated fat and sodium. Lean meat, seafood, poultry and eggs are better protein options. Healthy carbohydrates, like brown rice or whole-grain bread, allow the body to utilize energy consistently with added fiber to cue satiation, while nuts and nut butters are rich in healthy fats, protein, and carbohydrates for well-balanced snacking. Tracking macros – the act of measuring the ratio of protein, carbs, and fat consumed – is an effective approach to achieving health and fitness goals. Because macros work together, the relative percentage of protein, carbs, and fat is the focus of many diet plans. The right balance of macronutrients depends on factors such as body type, fitness goals, and gender. For example, building muscle requires more protein in the diet to enable muscle fiber growth, while a diet rich in carbohydrates is needed for intense training to fuel energy for hard sessions. Food also contains much needed micronutrients our body requires in less amounts. Micronutrients consist of vitamins and minerals that are essential to overall health and wellness. 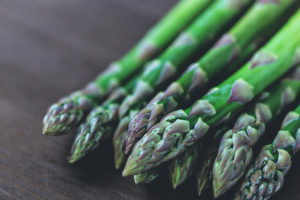 They assist in the production of enzymes, hormones, and proteins that are critical to body and brain function, and aid with the regulation of metabolism, heartbeat, bone density, and many other processes. Micronutrient deficiencies may cause significant, long-term health problems, both physically and cognitively. 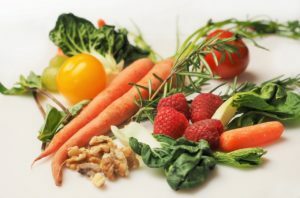 Micronutrients include vitamins, minerals, trace elements, and antioxidants that are found in natural food sources like fruits and vegetables, as well as dairy, nuts, poultry, and lean meats. Consuming a diet rich in fresh produce and other nutrient-dense foods provides most—if not all—essential micronutrients. In the case where one does not get enough micronutrients from diet alone, a multivitamin taken with meals can supplement daily requirements. However, issues absorbing certain vitamins or minerals can be a challenge. Paying attention to the volume, timing, and quality of supplements consumed can help micros absorb properly. Some vitamins are more easily absorbed in the body when taken along with other foods or when paired with other supplements. Synthetic vitamins, as opposed to natural, plant-based vitamin supplements, can be difficult to absorb due to interfering filler ingredients. Taking too much of some vitamins can also cause health problems or naturally flush out of the body. While supplements are no substitute for healthy foods, they can support an already nutrient-rich diet or aid in further micronutrient absorption. Curious how to properly balance your macronutrients and achieve optimal micronutrient profile? Learn about our Nutrition Coaching program and track your progress with a CompID Scan using DEXA technology.